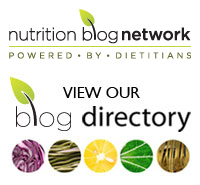 Dietitians of Canada Nutrition Month – Potential to Discover: Foster healthy eating habits in children by teaching them to shop and cook. Back in the day, home ec classes were standard on the curriculum for female students. We were taught all about food but compared to other courses like biology or math, home ec was simply thought of as frivolous and even then, somewhat sexist. And so with budgetary cuts, home ec went by the wayside as it was deemed to be unimportant. Fast forward a few decades and now we have too many kids who have grown up in homes where no one cooks. All too often, meals are dished up from commercially prepared eats-a quick zap in the microwave and dinner’s on the table. We’ve learned to exist on ultra-processed foods. A recent study, published in the Canadian Journal of Public Health, showed that back in 2004, 45% of the daily calories consumed by adults in Canada came from ultra-processed foods. You can bet that that number is even higher today. Consider this: A French investigation of more than 44,000 subjects showed that there is a 14% higher risk of early death for every 10% increase in ultra-processed foods consumed. Well, it’s time for a change. It’s clear that food literacy is no longer a luxury. Learning about food, though, is not just about learning to cook. Home economics-perhaps using the full term home economics instead of home ec will give it the respect it deserves-is much more than cooking. It’s about finding our where our food comes from. It’s about learning to put nutritious and affordable food on the table while, at the same time as considering human health, looking at the impact on planetary health as well. This food literacy, for the sake of our environment, has to incorporate the issue of food waste. According to the Toronto Food Policy Council, $31 billion worth of food is wasted in Canada each year. This is approximately 40% of food produced yearly in the country and comes at a time when food insecurity is rampant in Canada. Families struggle to put nutritious food on the table and we’re dumping food into landfill sites. So, no-home economics classes are not a luxury and are not frivolous and should not be for female students only. Our kids should be equipped with the skills to last a lifetime – a long lifetime for both our younger generation and the land they hope to live on. Push for your local government to re-institute home economics. We can’t afford not to. I agree with your comments. Especially the component about waste. It is easily feasible to have a nutritious meal in about 30 minutes at dinner time. The children can set the table, prepare the salad. This adds quality time as a family as well as show children that home cooking is easy!!! I am glad my boys had to take such a course in high school. It also included budgeting. This is a necessary life skill in my opinion. Thanks for your feedback, Christine! It sounds as though your sons would have learned many of these skills at home too but for many kids, learning about food at school is the only option. And yes, these are critical life skills that need to be learned. I think this is a great idea. It’s important to have some basic food prep and cooking skills. Once you have that skill, you have more options to choose from when your planning meals. Not to mention the confidence to explore and discover the varieties of food and recipes out there, and the lower cost of eating and healthier choices when you don’t have to rely on eating out or convenience foods. I absolutely agree with you about the skills that can be developed by including home economics. It’s time for those who make decisions about school curricula to understand that this kind of learning is critical for our next generations. 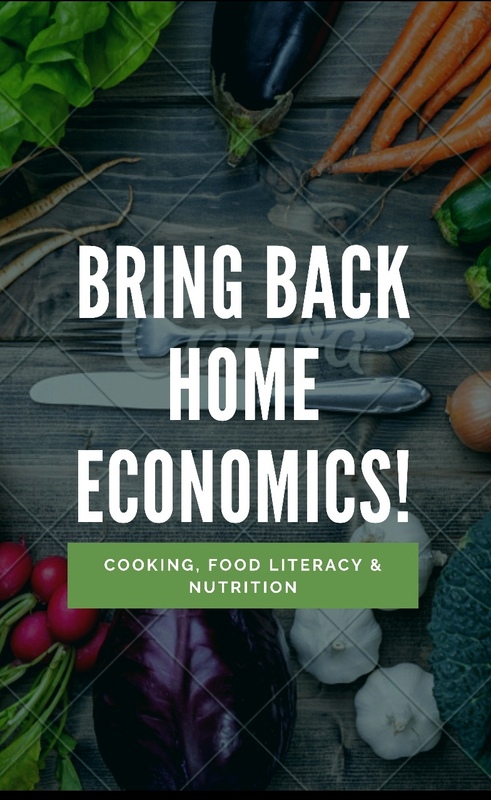 As a Professional Home Economist and former Home Economics teacher, I totally agree with the need for a mandatory Food & Nutrition course for all students to graduate from High School. Because Home Economics was open to both genders when I taught I never felt it’s decline in popularity was because it was sexist. Instead, computer labs, music and a variety of other options became more available at a time when students (yes girls in particular) wanted a career outside of the home. The feminist movement may have influenced decisions too. Why work at home without a pay cheque? For that reason, Home Economics (which encompasses a wide variety of topics including clothing, textiles and family relations) was renamed Family Studies. It still exists today!! Seven courses in Food & Nutrition are available to high school students in Ontario. However.those courses are optional only – not mandatory. Enrolment could be much higher, I agree. Today, cooking skills are rarely taught in the home as in generations gone by. For that reason, the art of home cooking and eating economically is getting lost. Fast food outlets are winning out despite the cost to our wallets and to overall health. Learning to cook, source and plan healthful meals and basic nutrition knowledge are life-skills that all grads require to leave home. How can a grad possibly leave high school without it? Yes! Bring back Home Economics, Family Studies or whatever we prefer to name Food Literacy. The excellent curriculum is in place. Parents (voters) are needed to insist it be made mandatory. Thanks for your comments and for the information. I didn’t know whether the petition was still active. Yes, this needs to be mandatory for all students. It’s time to equip all students with these life skills! I will be doing a follow up post and will include the link to the petition. Thank you so much for writing this article. As a friend and colleague of Mary, I totally echo her comments. I am especially delighted to see that your thoughts include the broader perspective of food literacy. While nutrition and food skills are so important (I am a retired Family Studies teacher and Department Head), extending the understanding about food to include the entire system is equally important. Thus learning about how food is produced and grown along with topics such as food waste and food security is there in the courses that Mary mentioned. See http://www.edu.gov.on.ca/eng/curriculum/secondary/ssciences9to122013.pdf. The concern is that these courses, like the other Family Studies courses, are elective only. I do know, however, that in my experience Grade 10 Food and Nutrition is extremely popular in many parts of Ontario. Since 2007 I have been the lecturer in Family Studies Education at the Faculty of Education, Western University. Here future Family Studies teachers become versed in all elements of Home Economics (Family Studies) as they prepare to be qualified to teach the 21 possible Family Studies courses that exist in the Ontario high school curriculum. You are so correct in saying, “food literacy is not a luxury”. There are certainly some systems in place. We just need a stronger voice to support Home Economics and all that the area encompasses. Thanks for your comments, Diane, and for all that you and your colleagues do in providing education on these key subjects. And yes, I totally agree that these courses should be mandatory in order for kids to grow into adults equipped with all these skills! I am putting a link about the petition into my next post.